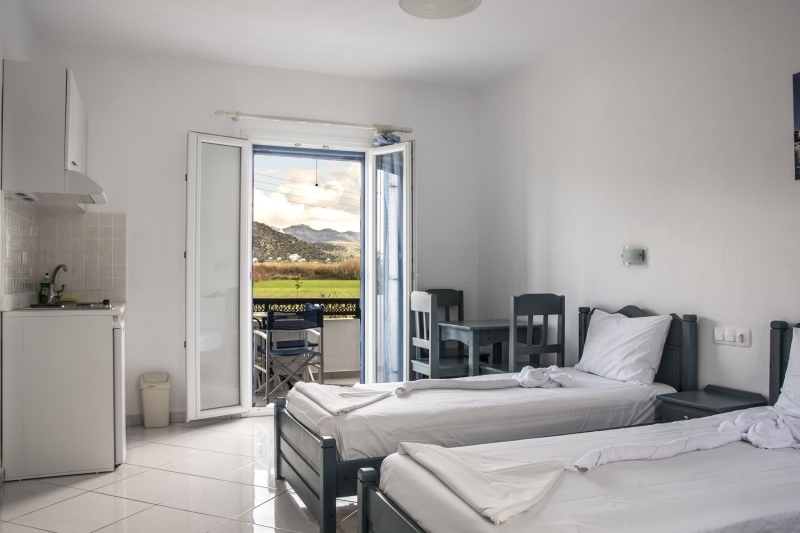 Ikaros is a small apartment complex which offers self-catering accommodation with fully equipped studios and apartments. The property is located on the outskirts of Naxos town just 800 meters from the town center and near the Saint George beach. This unique location enables our guests to combine entertainment along with relaxation. Ikaros has been designed to satisfy the needs of its guests, you can take your coffee with a view of our beautiful garden or take a refreshing swim in our pool. 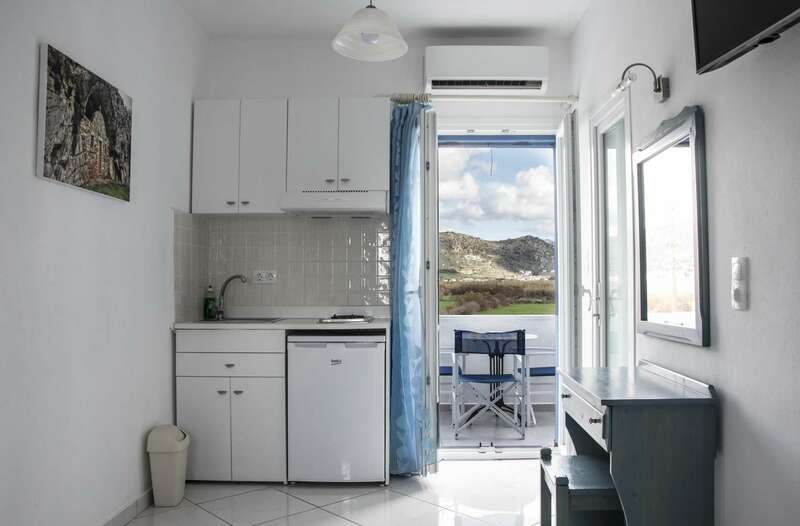 All our studios have private bathroom, balcony or terrace, fully equipped kitchen, fridge, air-condition, telephone, satellite television, free wireless internet, hair dryer and a safety box. We are always trying to make our guest's stay as comfortable as possible. We are there to answer any question and help you enjoy every minute of your holiday. 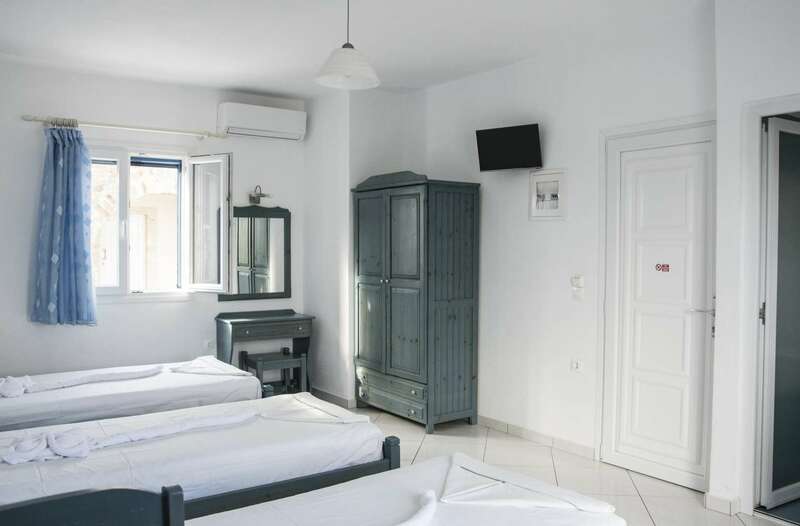 Our long-term experience in providing accommodation services and in focusing on every single aspect of our guest's experience, defines the operational principles of Ikaros Studios.